Bangladesh has been hit for centuries by the Bay of Bengal tropical cyclones. In terms of human casualties, the country is the worst global cyclone victim. Most of the cyclonic havocs are caused by the cyclone generated storm surges. Cyclones cannot be stopped from forming. The only way we are left with is to know how to live with them. In spite of the fact that Bangladesh has developed over the years much better cyclone preparedness programmes, we are still far away from knowing well the ‘enemy’ cyclone. The present book examines different aspects of storm surges with particular reference to Bangladesh, by developing a coupled Bay-River numerical hydrodynamic model called ‘CEGIS Storm Surge Model (CSSM)’. 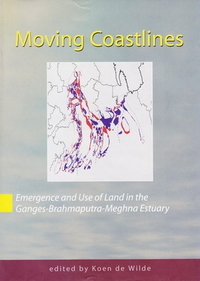 The model area includes (i) the northern Bay of Bengal and (ii) three coastal rivers of Bangladesh dynamically connected to the Bay. The model has been used to examine, among other things, contributions to storm surges from different meteorological, hydrological, oceanographic, astronomical and geo-morphological factors and the interactions between/among some of them. 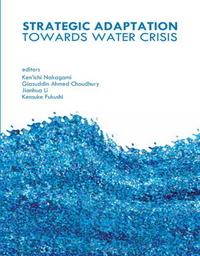 The book also briefly discusses some of the impacts of climate change and sea level rise on storm surges in the country. 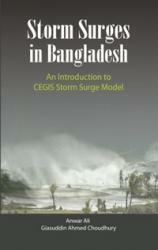 It ends up by giving short descriptions of all the cyclones that had hit Bangladesh in the past.